Are You Losing Everything Just to Pay for a Nursing Home? Are You Draining Your Entire Life Savings to Pay for a Nursing Home? You are here: Home / Are You Draining Your Entire Life Savings to Pay for a Nursing Home? Stop me if you have heard this before. You have a spouse or parent with Alzheimer’s or Dementia. Maybe they are the victim of a stroke, Parkinson’s, or MS. Perhaps they had a heart attack and are recovering. They went to a rehab and now Medicare is paying the tab. But rehab is no longer working and it is time for them to move to a skilled nursing facility. For a variety of reasons, you are unable to care for them at home. Perhaps their medical needs are too great. Perhaps it is not safe for them to stay home alone. You are scared that they would fall (or maybe they already have fallen), attempt to drive, or worse. Maybe your house is not outfitted to be handicap accessible. Maybe you need to work and have a family of your own and just don’t have the time to care for them. Whatever the reason, you just can’t do it. So now you are trying to figure out what to do. A Skilled Nursing Facility is what the doctor recommends, and you tend to agree. So What Assets Can You Own and Still Qualify for Benefits? So What Will the At-Home Spouse Live off of When Their Spouse Goes on Medicaid? Can You Do This Planning Yourself? What Can an Elder Law Attorney Do? What Tools and Techniques Are Available to Help You Accomplish Your Goals? What is the Cost of Medicaid Planning? As our population ages, the number of people requiring nursing home care increases each and every year. If you are over the age of 65, there is a 50% chance that you will need to pay for long-term care at some point in the future. And it’s possible that this cost is staring you in the face right now. If you are reading this, you might already know that the cost of care in North Carolina averages between $6,300 to $8,000 per month. That’s $75,600 to $96,000 per year! You are probably asking yourself that exact question right now. I was talking to another lawyer recently who told me a story that broke my heart. An elderly woman had come to him to get help paying for nursing home care for her husband. Her husband had been in a nursing home for the past several years, and they had spent several hundred thousand dollars on his care. The reason this story is so heartbreaking is that this woman did not have to spend their entire life savings on the nursing home. She could have saved hundreds of thousands of dollars if they had taken the proper steps to plan when her husband first needed to enter the home. Nobody bats an eye when a family with significant assets engages a lawyer for estate planning to help in reducing their estate tax burden. So why is it that families with modest assets are so reluctant to engage a lawyer to help them prepare a plan that will allow them to preserve their assets and reduce the cost of long-term care? Proper planning to reduce the costs associated with long-term care is essential to keeping a family from bankrupting itself by paying for nursing home expenses so that they can leave a legacy to their loved ones or a charity or anyone else they choose. It’s amazing how many families are reluctant to engage in Medicaid planning because they “don’t want to accept welfare”. The problem with this thinking is that these same families will end up spending their entire life savings on long-term care costs, just to end up applying for Medicaid anyway. But this can all be avoided with proper planning. Medicaid CAN pay for the catastrophic cost of a long-term stay in a nursing home. No, you do NOT have to spend your entire life savings, or your families inheritance, on the nursing home first. It is a myth that you must spend all of your own money on the cost of a long-term nursing home stay before you can qualify for Medicaid benefits. The rules for Medicaid eligibility are anything but simple, and to make matters worse, they are constantly changing. What this means is that techniques and strategies that may have previously worked for friends, a neighbor, or another family member may no longer work today. 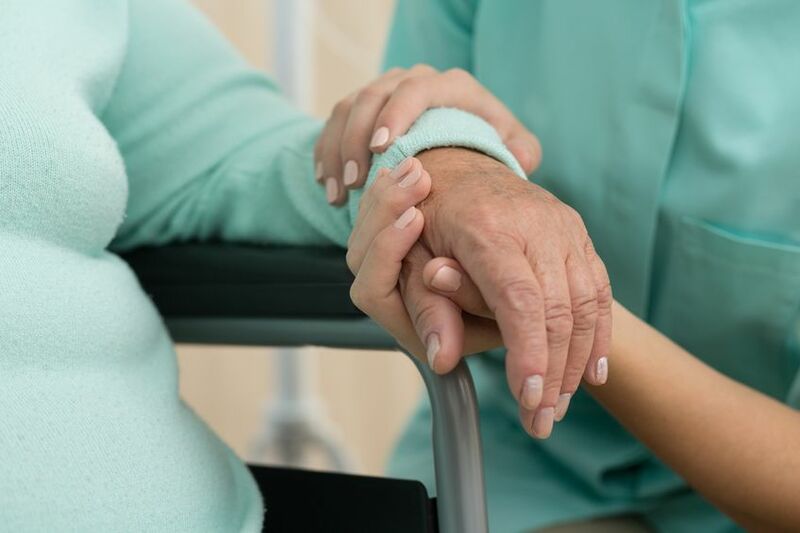 In the state of North Carolina, the average cost of nursing home care ranges from $6,300 to $8,000 per month or more, depending on the facility. This is approximately $210 per day for a semi-private room. How can a senior citizen, living on a fixed income, with a modest investment portfolio (less than a million dollars), be expected to pay for this care? And what if they end up living at this facility for 5, 10, or 15 years (not uncommon)? They can’t. And that is why there are several government programs available to pay for this much-needed care. You can learn about them at one of our upcoming Free Seminars. Most people start with Medicare. If you are age 65 or older, you automatically qualify for Medicare to pay for your health insurance. However, most people don’t understand that Medicare only pays for the first 100 days of skilled nursing care – and that’s only if your loved one was hospitalized for at least 3 days first. In addition, upon entry to the nursing facility, your loved one must be undergoing rehabilitation that is medically necessary. Most people are wrongfully told that for Medicare to continue paying, the patient must be improving. This is not correct. The key to having Medicare continue to pay is that the rehabilitation care must be medically necessary. If the patient was smart enough or had the foresight to obtain long-term care insurance when they were younger, that is fantastic. Unfortunately, most people have not purchased long-term care insurance, and by the time they need it, they are too old or sick to apply. Most people who have any money at all believe that they must private pay until they run out of money. This is a sad myth and extremely unfortunate. If you are currently in this situation, read on. There is hope. The vast majority of nursing home residents (over 70%) will end up on Medicaid. And these people fall into two camps. First, people who used to have money, but they spent it all on the nursing home before applying for benefits. Second, the smart folks who realized, early on, that they could do some early planning and protect their families assets from the crippling cost of long-term care. Will your loved one be able to leave a legacy to their family or favorite charity before they become eligible for benefits, or will all of their savings go to the nursing home? Even though the applicant for Medicaid can only have $2,000 in countable assets when they apply for benefits, there are many assets that are considered exempt or non-countable. In other words, these are assets that the Medicaid recipient or their spouse can still own while at the same time qualifying for benefits. It is a complete myth that all of the applicant’s assets must be spent before Medicaid will pay for long-term care costs. Here is a quick list of the assets that the applicant may own and still qualify for Medicaid benefits. The recipient’s principal residence. If they are single, they can keep up to $560,000 in equity. If they are married, and the spouse still lives in the home, there is no cap on the amount of equity in the residence. They can have a life estate in the principal residence. They can own other real estate so long as it is a “tenancy in common” with someone else. They can own a motor vehicle, and there is no limit on its value. They can keep all of their personal effects, household goods, jewelry, furniture, appliances, artwork, etc. They can keep a life insurance policy provided that the face amount of the policy is not more than $10,000. They can own a prepaid, irrevocable funeral contract OR $1,500 in burial funds provided they are earmarked for that purpose. If the applicant is married, their spouse may keep up to $120,900 in assets – but the rules regarding this are complicated. Click here to download a full list of excludable assets. The applicant for benefits may also receive income up to the private pay rate of the facility they are seeking entry to. For many people, this is not a huge hurdle. When they decide to apply for Medicaid, all of their fixed income (including their social security checks, pension, etc.) will go to the nursing home. Medicaid will pay the balance once they are approved. If you are facing the prospect of sending your spouse to a nursing home, but are nervous about the prospect of sending all of their income to the nursing facility, you are not alone. Fortunately, the rules in North Carolina allow the “community spouse” (i.e. the spouse staying at home) to keep a minimum of $2,030 of income from the nursing home spouse. Depending on how much your shelter costs (i.e. the expenses related to your home) are, this amount could reach as high as $3,022.50 per month. Many people have heard horror stories about Medicaid forcing families to sell their loved one’s house to pay back the cost of their care. This is a process called Medicaid Estate Recovery, and it happens all the time. Medicaid Estate Recovery is how the government attempts to recover the cost of your loved one’s care from their assets after death. However, with proper planning, Medicaid Estate Recovery can be avoided entirely. Listen, I’m a lawyer that has been licensed for 13 years. I went to law school for 3 years. I took two bar exams in two different states. And this stuff had me confused when I first started learning about Medicaid Planning. Many lawyers don’t fully understand Medicaid planning. Many estate planning lawyers won’t even touch cases like this. If you wanted to file your own divorce, or perhaps start an LLC, I would say go for it. If you mess it up, go see a lawyer for a “do over”. But the same cannot be said when planning for Long Term Care Benefits. This is NOT an area for the do-it-yourselfer, any more than performing surgery on yourself would be considered a smart thing to do. If you make a mistake on your application, if you don’t properly title an asset, if you inadvertently give an asset away…It could cost you years of Medicaid benefits and potentially hundreds of thousands of dollars. Unlike a simple divorce or corporate filing, there are no do-overs. If you attempt to do this on your own and mess it up the first time, in most situations you can’t undo those mistakes. Hiring a lawyer to assist with long-term care pre-planning in these situations is a smart decision. Provide referrals to other qualified professionals who can assist you in your planning efforts. As lawyers, we are trained in the various techniques and strategies that can be used to convert your “countable” assets into “non-countable” assets so that your loved one can immediately qualify for long-term care benefits. In addition, we can employ strategies to increase the amount of assets that a spouse is allowed to keep. Finally, we can help to ensure that assets are protected from estate recovery upon the death of the Medicaid recipient. To accomplish all of this, there are several planning strategies that we can use. These are special annuities that we can use in a situation where a spouse is either going to a nursing home or is already there, but hasn’t yet applied for Medicaid. This tool can drastically increase the amount of assets that are available to the community spouse. You might be nervous about words like “irrevocable”. It sounds so “final”, doesn’t it? But honestly, that’s the only drawback to these trusts. As a planning tool, they can accomplish some amazing things. But, they must be used with time to spare. In other words, they are best used if you have at least 5 years before your spouse or loved one may need to enter a nursing home. So for people with early onset Alzheimer’s or Dementia, this is a great pre-planning tool. Irrevocable means that the grantor can’t change the trust after they draw it up. In certain situations, the grantor (i.e. person who makes the trust) can retain income rights to the property, but they must relinquish their rights to the trust principal. The question you should be asking yourself is what is the cost if you don’t plan or worse – you attempt to do this on your own and muck it up? We can help you with Medicaid pre-planning and to file your loved one’s Medicaid application for less than the average cost of two months stay at a nursing home. Now is the time for you to take action. You have learned a lot of information from this blog post. If you have read this far, then you are probably in a situation where you need some help and guidance. Our office is available for a personal consultation to review your unique situation and help you decide what, if any, steps are the most appropriate for you and your family. If you have a loved one that is already in a nursing home and receiving care and treatment without a plan in place, then you are probably throwing money away! You have an opportunity to preserve assets for you or your family and need to see us immediately! If you have read this far, you are probably serious about planning. And for that, we want to award you. If you either call our office to sign up for an appointment before November 30, 2017, and mention this article, or if you attend one of our upcoming Workshops, not only will we take $500 off the cost of your Medicaid OR Revocable Living Trust Plan, but we will also offer you a free consultation at our office (a $350 value). To take advantage of this offer, simply click here to schedule a 15-minute call with elder law attorney James Hart, call our office at (919) 883-4861, or fill out a special contact form here that we have set up just for this offer.